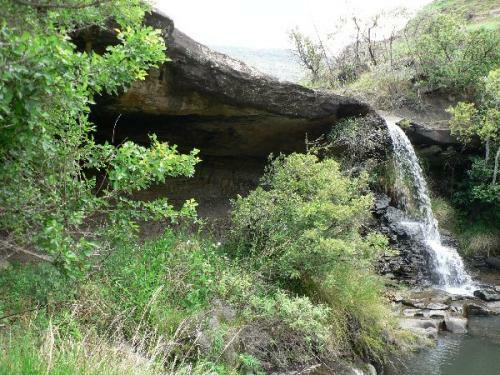 This cave was formed by a shelf of bedrock which has had the underlying soil washed away by the stream that flows over the lip into a pool in front of the overhang. It is only 4 km from the Mkhomazi office and car park, but involves quite a strenuous climb for the first kilometre. Just downstream lies another narrow cave, which we have chosen to call the Cyprus Cave Annex. This is not as sheltered as the main cave, but in good weather it offers a more comfortable and convenient alternative. The annex can accommodate a maximum of six hikers if they are all to remain dry in wet weather. Cyprus Cave is quite deep, has plenty of water, and can accommodate 6 or more hikers with ease. The only problem with it is that during a flash flood it could be dangerous! The cave is named after the cyprus grass which grows nearby. The floor is slightly slanted downwards towards the pool, but the cave is quite spacious, with plenty of headroom. 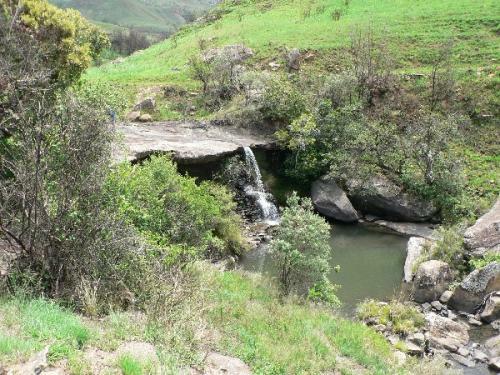 The stream flows throughout the year, and water can be collected from above the cave or from the pool in front of it. 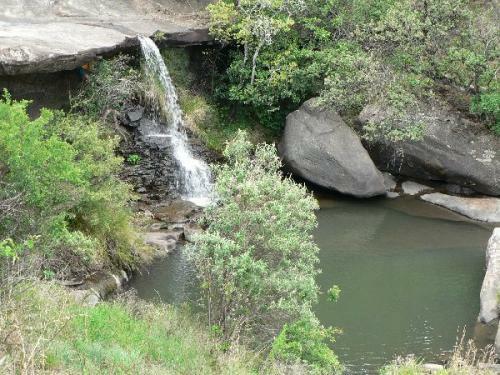 There is a large pool in front of the cave, and several more further downstream. 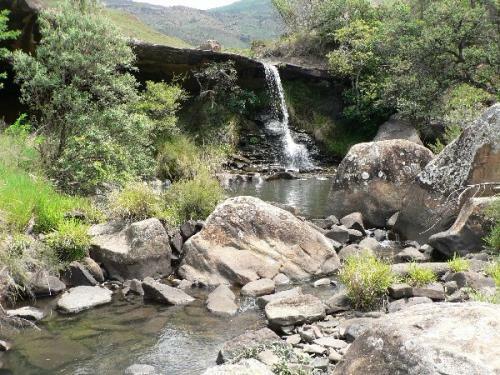 Just below where this stream meets the Mkhomazi River, there is a large pool below another waterfall, trees for shade, and plenty of rocks to spread out on. Getting out of this pool may require a rope, however! The cave is sufficiently deep to provide good shelter from the rain, although the stream may produce spray when it is flowing fast. Due to its location, the cave is sheltered from the wind. There is little in the way of a view, but the cave's location is still quite picturesque.